Traveling, especially with a member of the family who has special needs, can be an overwhelming experience. Luckily, in today’s world, there are a number of gadgets, gizmos and smart phone apps that can help alleviate some of this stress. If you’re planning a trip with a friend or member of the family who has special needs, we’ve compiled a list of the most helpful apps to make your trip a little smoother. CitiRollers & Wheelmap: Specifically developed for wheelchair users, these useful apps provide information for navigating cities/towns on wheels. CitiRollers, developed in conjunction with the Christopher & Dana Reeve Foundation, provides locations of wheelchair-accessible restrooms, restaurants, trains/subways, and wheelchair repair and supply shops. For iPhone. www.citiroller.com. Price: Free. 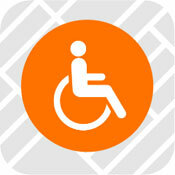 Wheelmap utilizes a Wikipedia-style, user-generated “tagging” process to map out wheelchair-accessible locations. Available in English, German and Japanese. For iPhone, Android, and available on the web. www.wheelmap.org. Price: Free. 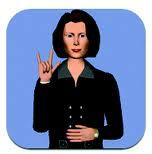 iSign: This useful app provides an animated phrase book of over 800 ASL gestures. Available for iPhone. “Lite” version is available for free. Price: $4.99. Pillbox Alert: Because who wants to worry about remembering medications while on vacation? Keep track of your pills, dosage, and set reminders throughout the day with this app. For Android. 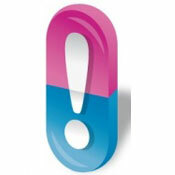 www.pillboxalert.com. Price: $1.99. The Americans with Disabilities Act Reference: A helpful app that easily outlines stipulations of The Americans with Disabilities Act. For Android & iPhone. $0.99. smart-ICE: This “In Case of Emergency” app gives EMS personnel instant access to medical records, emergency contact info, current medications, allergies, etc. For Android, iPhone & Blackberry. www.ems-options.com. Price: $0.99. Trip-it: When traveling with those with special needs, the last thing you want to worry about is keeping track of a file cabinet’s worth of documents. De-clutter and cut down the “things to keep track of” list. For Android, iPhone & Blackberry. 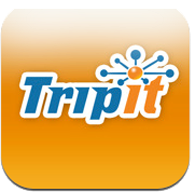 www.tripit.com. Price: Free. Know of a useful app or other gadget that we haven’t mentioned here? Feel free to tell us about it in our “comments” section, or post on our Facebook page at www.facebook.com/SpecialNeedsGroupInc. Happy and safe travels!